Cantina Nights will be held from 10 p.m.-1 a.m. Thursdays-Saturdays at Cantina 1910. 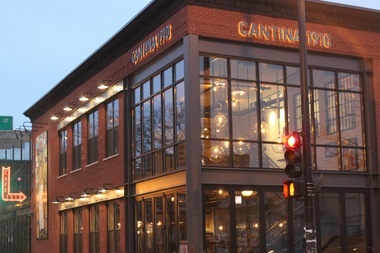 ANDERSONVILLE — Cantina 1910 is looking to heat things up for its late-night crowd with Cantina Nights. From 10 p.m.-1 a.m. Thursday-Saturdays, the restaurant at 5025 N. Clark St. will feature live Latin music and burlesque shows. Entertainers will include The Kiss Kiss Cabaret, Eva La Feva, the Luciano Antonia Duo, the Victor Garcia Quartet and Neal Alger, according to a press release. The series will kick off on April 22.